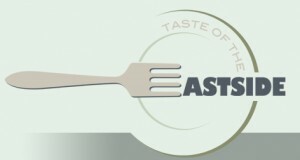 Join locals and visitors alike on May 15, 2011 for the annual Taste of the Eastside in Barnsdall Park just off Hollywood Blvd in Los Feliz. Beginning at 1pm and lasting until 5, local venders and restaurants will be displaying their specialties for taste adventures and sensations. Barnsdall Park is home to Frank Lloyd Wright’s Hollyhock House, originally designed and built for Aline Barnsdall in the 1920s. The city of Los Angeles completed the Great Lawn around the house as originally envisioned by Wright in 2007 which makes Banrsdall Park the perfect location for this special event. The Taste of the Eastside is a benefit for local children’s schools and hospitals around the Hollywood and Los Angeles area. Benefiting from the event is the Rose Scharlin School, SEE-LA, which offers sustainable economic food in the LA area, and Children’s Hospital of Los Angeles along with the Barnsdall Art Park foundation itself. There will be silent auctions held throughout the afternoon from local businesses and professionals offering services as well as items to be auctioned off for the aforementioned groups. The best of independent restaurants will grace diners with their food and local culture, including tastings from the neighborhoods of Echo Park, Silver Lake, Atwater, Eagle Rock and Los Feliz. Restaurants such as Forage, Little Dom’s, Elf Café and Gingergrass are just a few of the participating restaurants. There are likely to be over 30 venders offering elegant taste bites to participants. Small portion sizes.